SANTA Vacations at Nottoway!Spectacular 4BR 3.5BA Home in the Sought After GATED Nottoway Subdivision in Prestigious Germantown w/Beautiful Lake View! 2Romantic Fireplaces,3Car Garage,Outdoor Oasis w/Arbor,Frig & Viking Grill,Gleaming Hardwood Flrs,Smooth Ceilings,Butler's Pantry w/Wine Cooler,Gourmet Kitchen w/Granite & Stainless Steel Appl,Formal Dining Rm,Wood Beamed Ceiling in Hearth Rm,Living Rm w/Built-In Bookshelves,Office,Bonus Rm,Master Down w/Salon Ba,Wet Bar Up!Germantown Schools! For more information, contact Melissa Thompson at (901) 729-9526. Visit http://www.crye-leike.com/memphis/10033226 to view more pictures of this property. STOP DREAMING!Make this Fabulous 4BR Home Situated in the Desirable Kimbrough Estates Subd in Prestigious Germantown YOURS! Gleaming Wood Flrs, Updated Baths, 2Car Garage, Snuggle Up Beside the Cozy Fireplace in the Spacious Great Rm. Gracious Entry. Large Bonus Rm Perfect for Recreational Fun. Relax in the Living Rm. Entertain in the Dining Rm. Enjoy Cooking in the Kitchen w/Full Complement of Appl w/SS Oven & Microwave. Delightful Fenced Backyard w/Nice Deck & Storage Shed. Germantown Schools! For more information, contact Melissa Thompson at (901) 729-9526. Visit http://www.crye-leike.com/memphis/10032721 to view more pictures of this property. Because You Deserve It! Spectacular Home Situated on .43 Acres in a Quiet Cove in Prestigious Germantown Featuring 4BR+Huge Bonus Rm,Open Flr Plan,Gleaming Hardwood Flrs,NEW Carpet,Tons of Built-In Bookshelves,2Fireplaces,High Smooth Ceilings,Neutral Colors,2"Wood Blinds Thru-out,Arched Doorways,3Car Garage,2Story Foyer,Spacious Great Rm,Formal Dining Rm,Kitchen w/Full Complement of Appl Opens to Hearth Rm,3Attics,Large Fenced Backyard w/Patio! Neighborhood Pool & Clubhouse! Germantown Schools! For more information, contact Melissa Thompson at (901) 729-9526. Visit http://www.crye-leike.com/memphis/10031127 to view more pictures of this property. Look No Further...This Amazing All on One Level, 4BR, 2.5 BA Home Situated on a Nice Corner Lot in Prestigious Germantown is It!Cool Off in the Sparkling In-Ground Pool or Relax Under the Covered Patio. Cooking will be a Delight in the Updated Eat-In Kitchen Equipped w/Desirable Granite Countertops & Full Complement of Appl(Double Oven).Snuggle Up Beside the Romantic Fireplace in the Spacious Great Rm.Enjoy Comfortable Everyday Living in the Living Rm.Host Dinner Parties in the Lovely Dining Rm. For more information, contact Melissa Thompson at (901) 729-9526. Visit http://www.crye-leike.com/memphis/10025734 to view more pictures of this property. LIVE LARGE!Magnificent Home in Prestigious Germantown Featuring 5BRs(3Down),Sparkling Gunite In-Ground Pool,Smooth Ceilings,Updated Fixtures,Gleaming Hardwood Flrs,Tons of Closet Space,Gourmet Eat-In Kitchen w/Granite & Full Complement of Stainless Steel Appl,Lovely Formal Dining Rm,Snuggle Up Beside the Romantic Fireplace in the Spacious Great Rm,Downstairs Master Suite w/Spa-Inspired BA w/Whirlpool Tub & Walk-In Shower,Lush Landscaping,Large Fenced Backyard,Delightful Deck! Germantown School! For more information, contact Melissa Thompson at (901) 729-9526. Visit http://www.crye-leike.com/memphis/10024500 to view more pictures of this property. Be WOWED the Moment you Walk Into this Spectacular 5BR(2Down),4.5BA Home Situated in a Quiet Cove in Prestigious Germantown Featuring Gleaming Hardwood Flrs Throughout,Plantation Shutters,Smooth Ceilings,Open Flr Plan,2Fireplaces,Granite Galore,3Car Garage,Gourmet Eat-In Kitchen w/Stainless Steel Appl Opens to Hearth Rm w/Built-In Bookshelves,Formal Dining Rm,Spacious Great Rm w/French Doors Leading to the Covered Patio Overlooking the Gorgeous Fenced Backyard,Huge Bonus Rm! Germantown Schools! For more information, contact Melissa Thompson at (901) 729-9526. Visit http://www.crye-leike.com/memphis/10024426 to view more pictures of this property. Amazing 4BR,3BA All on One Level Home in Prestigious Germantown Framed by Towering Trees Featuring a Delightful Screened-In Porch Overlooking the Beautifully Landscaped Fenced Backyard, Snuggle Up Beside the Cozy Gas Log Fireplace in the Spacious Great Rm, Wonderful Eat-In Kitchen Equipped w/Full Complement of Appliances, Host the Finest Dinner Parties in the Lovely Dining Rm, Relax in the Light Filled Living Rm, Play, Party & Entertain in the Huge Bonus Rm, Romantic Master Suite w/Private Bath! Live Large! 2323 Duntreath Road - Spectacular Germantown Home on 2 Acres! Live up to your expectations and make this one of a kind Germantown home YOURS! Welcome home to 2323 Duntreath Road, an amazing Germantown home situated on 2 acres that you will have to see to believe! Built for entertaining, this spacious home offers an open floor plan with impressive formal rooms, plus comfortable everyday living spaces. Quality features include newly remodeled eat-in kitchen, gleaming hardwood floors, neutral colors, romantic fireplace, crown molding, 5 bedrooms plus a bonus room, smooth ceilings, granite galore, 3 storage rooms, newly plastered and tiled sparkling in-ground saltwater gunite pool, 4 car garage, and so much more! Enjoy comfortable everyday living in the captivating great room flaunting a cozy gas log fireplace, perfect for those cold winter nights. Cooking will be a delight in this incredible newly remodeled eat-in kitchen with cabinet and counter space galore, built-in wine rack, desirable granite counter-tops, tile backsplash, built-in desk, durable tile floors, island/breakfast bar with cabinets, large pantry, full complement of high end appliances including double convection ovens, microwave, dishwasher, double sinks, gas cook-top, ice-maker, and a built-in refrigerator and freezer. In addition, this kitchen offers a sunny breakfast area, which is the perfect spot to enjoy your morning coffee! Family and friends will enjoy gathering in the splendid sun room located off the kitchen and great room illuminated with tons of natural light beaming in through the arched windows, and a nice dry bar with tile backsplash, compact stainless steel refrigerator, wine cooler and cabinets with interior lighting. Host the finest dinner parties in the romantic dining room embellished with a dazzling chandelier. Enjoy working from home in this wonderful office enhanced with built-in bookshelves with cabinets. You will rest easy in your romantic downstairs master retreat featuring his and hers walk-in closets, hardwood floors, sitting area, smooth tray ceiling with recessed lighting, and a cooling ceiling fan. The spa-inspired luxury master bathroom boasts an elongated dual sink marble vanity with all new soft close cabinets, heated floors, towel warmer, additional built-in cabinets with TV niche, relaxing new bubble tub with hand held spray, and a divine walk-in shower with complete tile surround, double shower heads with 3 body sprays and one hand held spray, and a frameless shower door. This home offers one additional bedroom downstairs with hardwood flooring and three more bedrooms upstairs with new plush carpeting. Upstairs you will find the fabulous bonus room offering a great space for recreational fun with a great wet bar. Relax outside in the incredible backyard with beautiful landscaping, newly plastered and tiled sparkling in-ground, gunite, saltwater pool with a diving board and water features along with a nice covered patio, perfect for cookouts and parties! This amazing home also offers a convenient half bath accessible to the backyard, laundry room with a chute, cabinets, sink, and ironing board, and not to mention it is in the Germantown Municipal School District! 7927 Collection Cove – Build Your Dream Home on this 1.34 Acre Lot in the Gated! Build your DREAM home on this 1.34 Acre Lot Situated in this award-winning, naturally preserved Gated Pinnacle of Germantown Community in the heart of Old Germantown positioned around approximately four acres of manicured park-like open spaces. Natural streams flowing under stone bridges and two ponds with fountains create spectacular natural views. 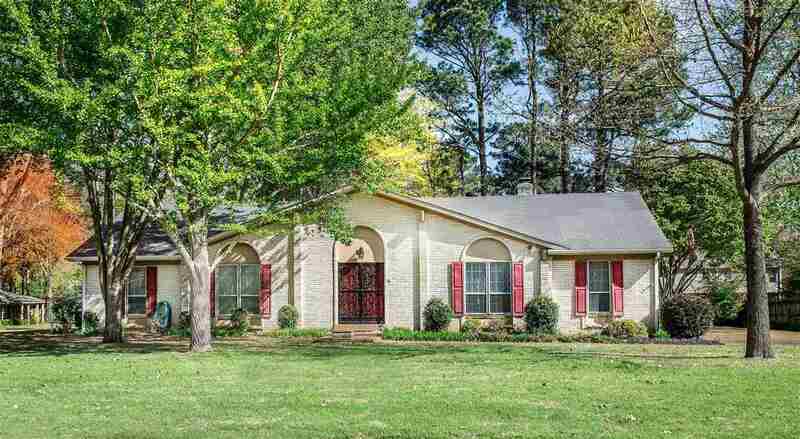 This property is in the sought after Germantown School District - Riverdale Elementary & Houston High. Do not miss out on this amazing opportunity to have exactly what you have always dreamed of in a home, plus live in the sought after gated Pinnacle of Germantown Community!